President Vladimir Putin has said that Russia is militarily ready for a Cuban Missile-style crisis if the United States is foolish enough to want one and that his country currently has the edge when it comes to a first nuclear strike. The Cuban Missile Crisis erupted in 1962 when Moscow responded to a US missile deployment in Turkey by sending ballistic missiles to Cuba, sparking a standoff that brought the world to the brink of nuclear war. More than five decades on, tensions are rising again over Russian fears that the United States might deploy intermediate-range nuclear missiles in Europe as a landmark Cold war-era arms control treaty unravels. Putin’s comments, made to Russian media late on Wednesday, follow his warning that Moscow will match any American move to deploy new missiles closer to Russia by stationing its own missiles closer to the US or by deploying faster missiles or both. Putin fleshed out his warning in detail for the first time, saying Russia could deploy hypersonic missiles on ships and submarines which could lurk outside US territorial waters if Washington now moved to deploy intermediate-range nuclear weapons in Europe. “(We’re talking about) naval delivery vehicles: submarines or surface ships. And we can put them, given the speed and range (of our missiles)… in neutral waters. Plus they are not stationary, they move and they will have to find them,” Putin said, according to a Kremlin transcript. The US State Department dismissed Putin’s earlier warning as propaganda, saying it was designed to divert attention from what Washington alleges are Moscow’s violations of the Intermediate-range Nuclear Forces (INF) Treaty. 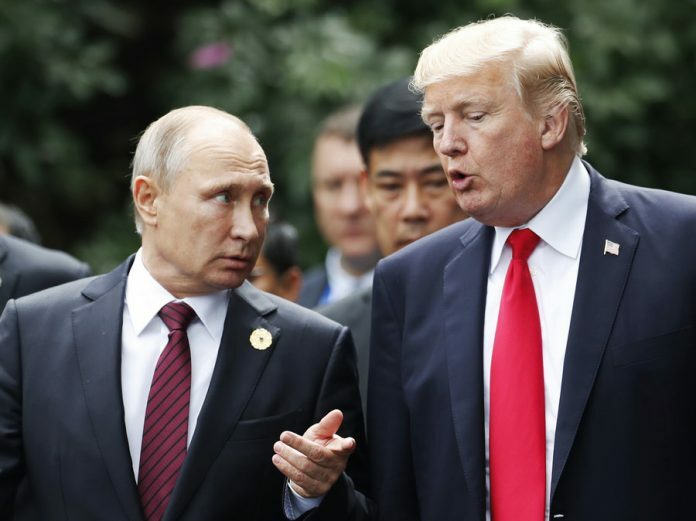 The pact, which banned Russia and the United States from stationing short- and intermediate-range, land-based missiles in Europe, is in its death throes, raising the prospect of a new arms race between Washington and Moscow. Putin has said he does not want an arms race with the United States, but that he would have no choice but to act if Washington deployed new missiles in Europe, some of which he says would be able to strike Moscow within 10-12 minutes. Putin said his naval response to such a move would mean Russia could strike the United States faster than US missiles deployed in Europe could hit Moscow because the flight time would be shorter.